We’ve been running our Alsace tour for a few years now. We’ve introduced some changes from time to time, and we decided at the end of last season to make a couple of more significant changes. Much as I love this tour, I had a chat with my brother Mike and we agreed we could make it better. 1. It’s now a circular tour – we start and finish in Colmar. 2. It’s a little bit shorter – there were a couple of long days, and it’s better for a little trim. 3. We’ve added a wine-tasting. So, the why, and the detail. 1. 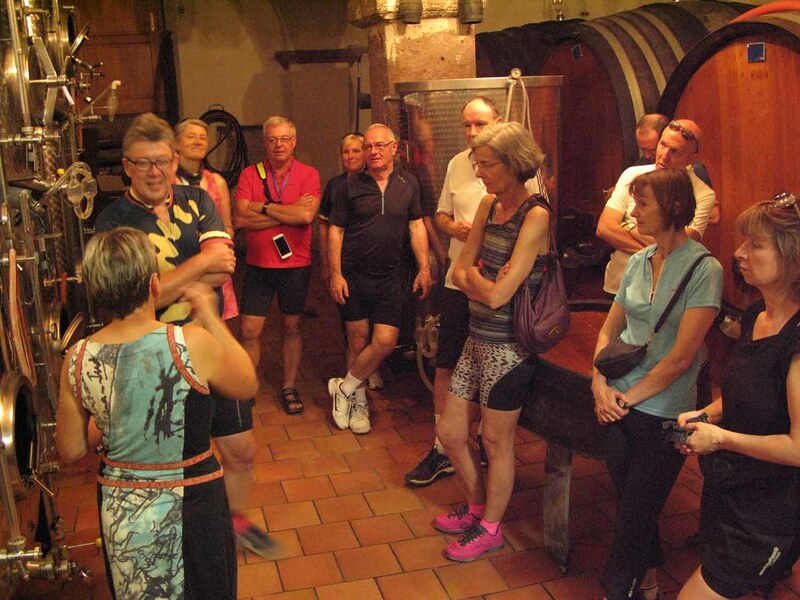 The tour is now a circular tour, starting and finishing in Colmar. Like it always should have been! Colmar is one of the most important centres in Alsace; it’s a transport hub, it has a beautiful and extensive ‘old town’, and in the Isenheim Altarpiece it boasts one of the major artistic treasures of Alsace. And we didn’t spend quite enough time here. Now we’ll spend two evenings here. Like we always should have. 2. Our first day of cycling is shorter. 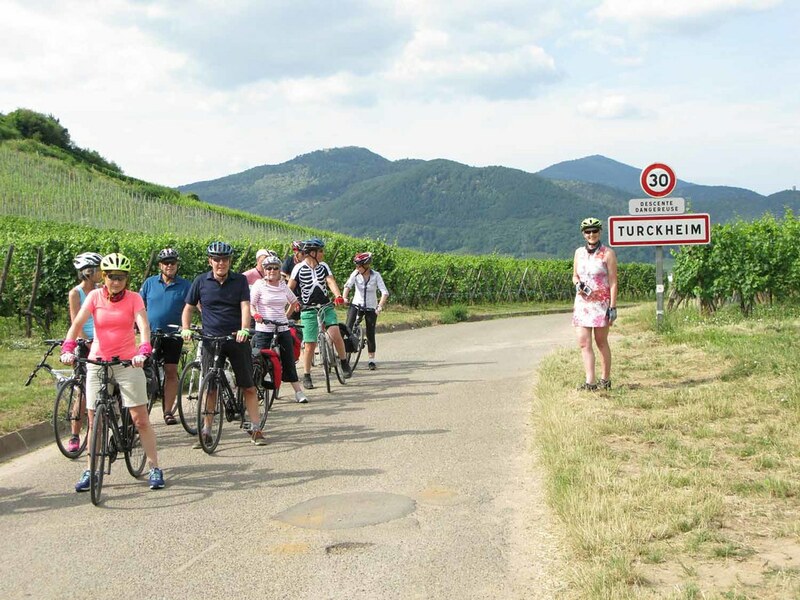 We still arrive in Turckheim at the end of our first day of riding- but it’s a bit easier to get there. We still visit beautiful Alsace wine villages, we’ll visit the Munster cheese-making centre in the Munster valley, and finish at perhaps my favourite hotel in Alsace, the Deux Clefs in Turckheim, a beautiful, walled medieval town right out of a Brothers Grimm fairy story, owned by a delightful family. 3. We’ve introduced another wine-tasting. We spend three days cycling through some of France’s most beautiful vineyards. I think Alsace makes some of the most beautiful white wines in France, so we’ve added a second vineyard visit on Tuesday afternoon, at Domaine Wach, near Andlau. I feel evangelical about the Rieslings, Pinot Gris and Gewurtzaminer wines of Alsace, so I’m delighted we’ve added another tasting and visit. 4. A shorter Thursday. We used to cycle from Strasbourg across the Rhine into Germany, for no better reason than to cross into Germany, which I always thought was a good enough reason. 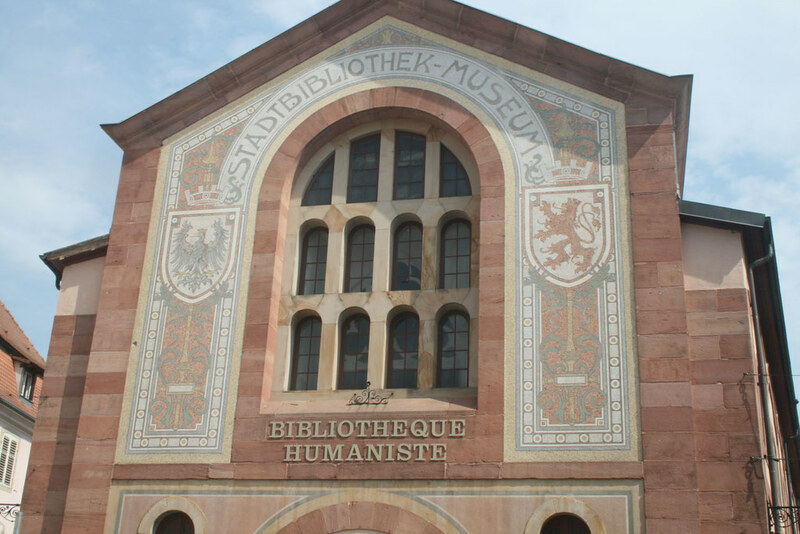 But we spend plenty of our Friday in Germany, so we’ll take advantage of this and make Thursday a shorter day, which allows us to get into Séléstat in good time to visit the Humanist Library, one of the most important collections of ancient books and incunabula in the world. This didn’t used to matter, because this beautiful library was closed for four years for refurbishment. 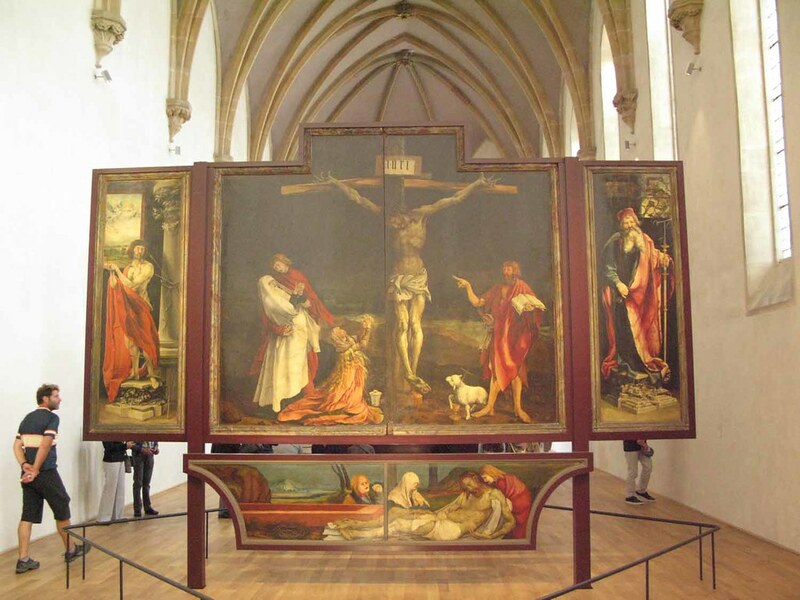 Along with Strasbourg Cathedral and the Isenheim Altarpiece, it ranks as one of the three greatest artistic treasures of Alsace (don’t ask me who comes up with these lists! 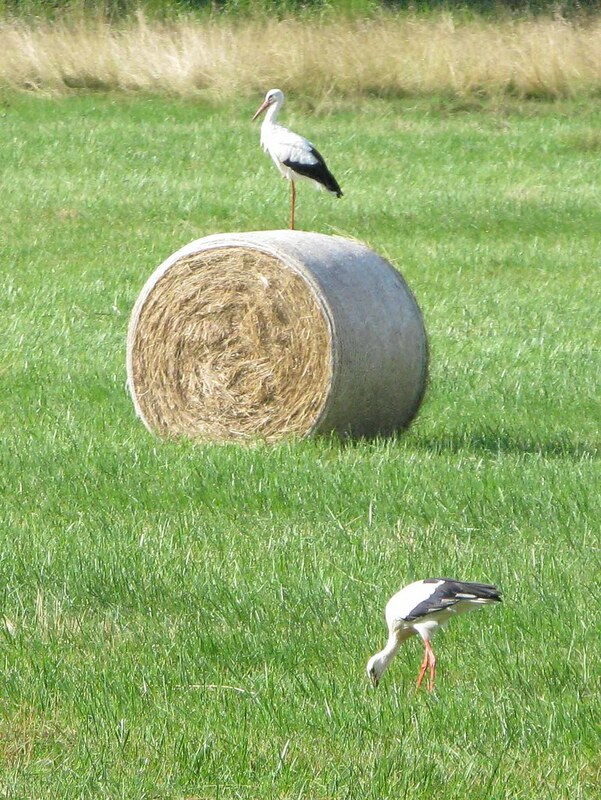 ), and it’s great that, since last June, we have the chance to visit. So we’ve made Thursday a bit shorter so that we can make the most out of this beautiful library. I’m delighted with our new plans. I hope you approve, and I’d welcome any comments.